Darlington County Republican Party Chairman Edmund Deas. One word can sum up the whole being of the Honorable Edmund Deas, intrepid. And intrepid he was. Fending off assaults that rendered bodily harm from political rivals seeking to rid S.C. and the South of the Party of Lincoln - the Republican Party - as to remove any vestige of equality for the newly freedmen during a period rife with strife and assassinations ensuring this seed never take root fertilized by the water of bloodshed of its many martyrs. He, for twenty-two years, held the Party Helm in South Carolina. A politician, a diplomat, and a leader of great force and character. His leadership endorsed by constantly placing in his hands the reins of political preferment in the Palmetto State as noted in The Colored American Newspaper of Washington, D.C. Born in Georgetown, S.C. on June 10, 1855, Deas sojourned to Darlington District in 1875. Upon taking residence in Darlington County, he plunged himself into politics and quickly became the protégé’ of Senator Benjamin F. Whittemore. Honorable Chairman Edmund H. Deas. For many years, he served as Chairman, Darlington County Republican Party, and as such, was chief patronage liaison officer for the Congressman of this district. To subsidize his political ambition, Deas was employed as Farmer as stated in the 1910’ Census and Deputy Collector of Internal Revenue for the United States Government for nine years, primarily, collecting tax on whiskey imported across state lines in 1889’. While a youth, Deas studied Law but was never admitted to the South Carolina Bar. Copyright 1973 - 2019, CRC INC., All rights reserved. His earlier discourse in the political arena was pocked with scandal. In 1875’, he was indicted for Breach of Trust and Grand Larceny which he failed to appear in Court while under $500 Bond. A bench warrant was issued for his arrest. Fearing for his life, Deas was found hiding in the U.S. Court House in Charleston, S.C. under supervisory of the U.S. Marshal’s Office. When proper legal arraignments were secured, Deas was briefly incarcerated in a Charleston Jail in 1879’. Upon return, he stood trial and released after costs were paid. During this period of judicial interlude, Deas was found employed as Deputy Sheriff to Darlington Sheriff Albert Baruch and the office of the Honorable Samuel J. Lee of Charleston, S.C. In 1878, he was a Republican Candidate for House of Representatives – Darlington Co., Secretary, Darlington County Republican Party, appointed Delegate Republican National Convention, and Chairman of his Congressional District. In 1880, Deas was Republican Candidate for the House of Representatives for Darlington County. 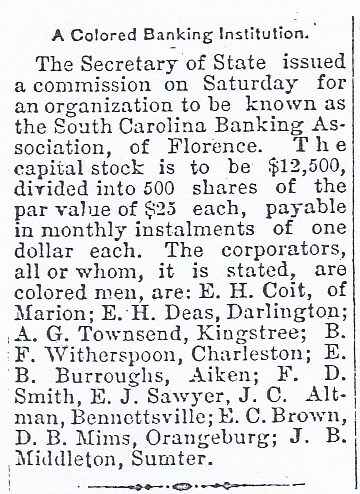 In September 1890, he was a candidate for U.S. Congress - nominated during convention held in Florence, S.C. On fiscal and banking matters, Deas was a Corporator for the S.C. Bamking Association (Colored) of Florence, S.C.
Edmund H. Deas Colored Bank Corporator. During the ebb and flow of political discourse, Deas would often address grievances by freedmen such as burial in the Florence, S.C. National Cemetery. He was often looked upon with contempt by his political detractors because he kept the smoldering ember of the Republican Party alive in the Palmetto State, along with Senator Robert Smalls and Thomas Miller, notably, during the contentious days of the Redemption Period. While seekingto moderate two opposing ideologies of a fractured Democratic Party - Tillamites and Haskellites (Independent) for Judge A.C. Haskell, for Govenor in opposition to Gov. 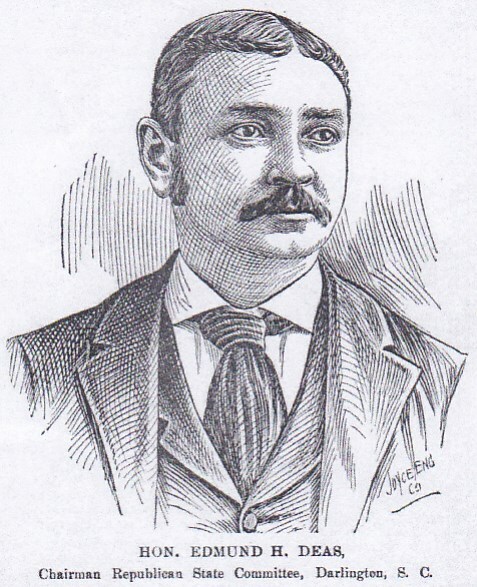 Ben Tillman, on October 30, 1890, in Timmonsville, S.C., Chairman Deas was attacked exacting a grievous facial wound. His undaunting desire to see the early days of Reconstruction return was often discussed by those who knew him, as a glimer of hope in his eyes. He was affectionately referred to as the Duke of Darlington. 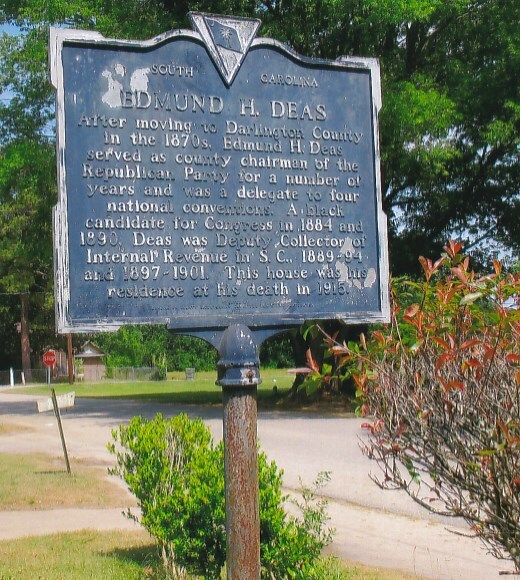 Chairman Deas was married to former Beulah Anna Gordon and they had one child, a daughter, Julia A. Ross, of Washington, D.C.
At the end of his life, Chairman Edmund H. Deas and wife were found residing on Ave E. Darlington, S.C. He died on August 1, 1915, leaving 22 acres and house to his beloved Beulah. During the state's Bicentennial Celebration in 1977', a Historical Marker was erected on the site of his former residence to honor his many contributions. 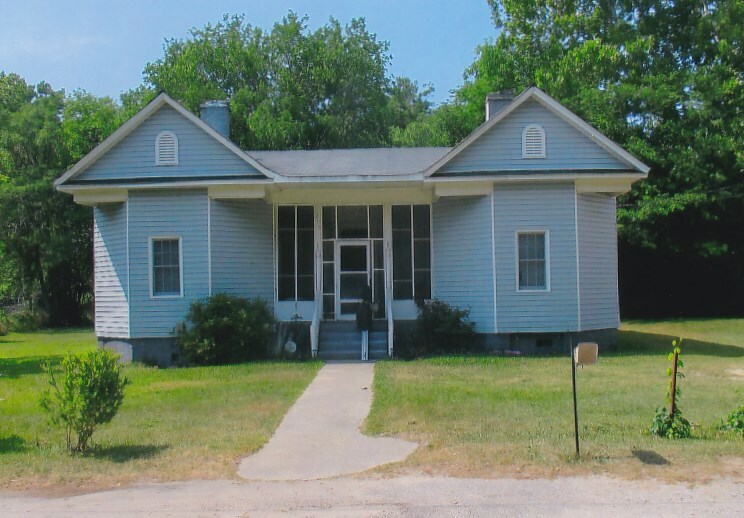 Chairman Edmund H. Deas House. and 1897-1901. This house was his residence at his death in 1915. 1878 – Republican Candidate for House of Representatives – Darlington Co.
released on payment of costs. 1880 – Republican Candidate for House of Representative – Darlington Co.
1889 – Appointed Deputy Collector of Internal Revenue, vice C.A. Malloy. Endorses Postmasterships for J.G. Gatlin (Darlington) and A.C. Harrell (Cartersville). 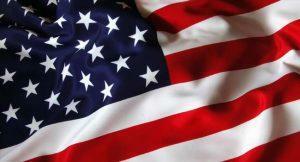 1890 – Candidate, U.S. Congress--nominated at Convention of 6th District held in Florence, S.C. in September.